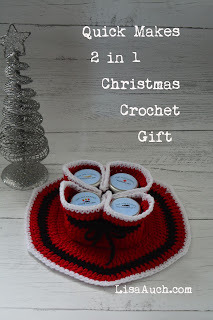 A FREE Christmas Crochet Pattern. 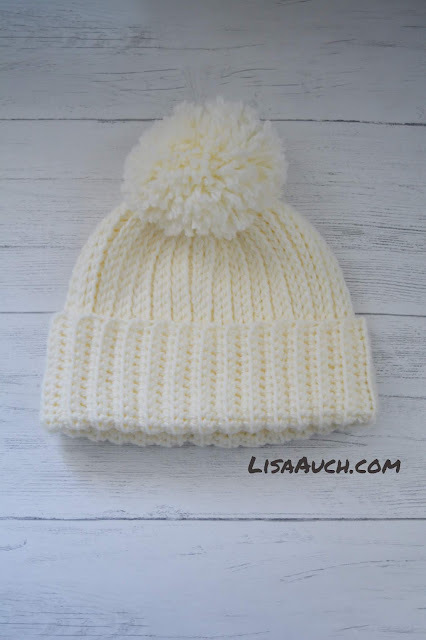 This is a last minute quick easy Crochet gift make (I made it less than an hour). Not Only is it a little jam pot holder Perfect for the Christmas Morning Breakfast. 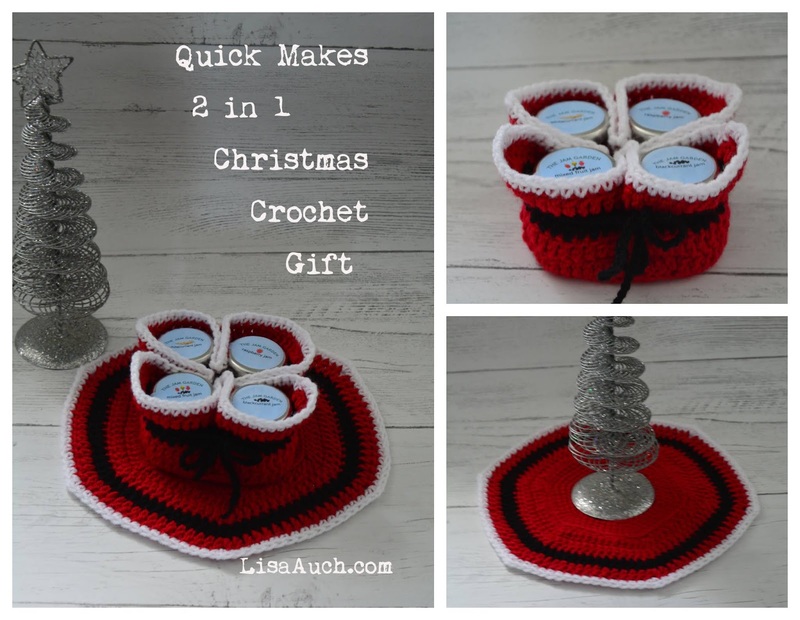 But once you have used all the Jam it turns into a lovely Christmas Potholder. That can be used time and time again. What do you Buy the Mother-in-law who wants 'nothing'. Yeah I know your pain, well my mother-in-law is actually quite easy but I love to find her little things that are special that are not off the shelf. We live on a farm and are very lucky to have great neighbours, some make their own products and we are spoiled by one in particular neighbour whose speciality is JAM! Homemade Jam....nothing beats this. Thick spread on your toast. SO when my mother-in-law visited last time we had been given some, and she loved it. Telling everybody back home about this wonderful Jam! Fortunately for us. Our neighbour has turned her Jam into a Homemade Business, SO I put an order in, and wanted to add a bit of crochet decoration to the little Pots. SO looking around for Christmas Crochet ideas I didn't really find anything for the little post. So this is what I came up with. You can use any colours for these its just I used Christmassy Colours. you will slip to join at the end of each round. Rnd 12: ch1: *2sc in the first stitch, sc in next 10 sts* repeat around. slip to join. Rnd 14: 2dc in the first stitch, dc in next 12sts, (2dc,ch1, 2dc) in the same stitch* repeat around and finish with a 2dc, ch1 in Last space. and finish with a 2dc, ch1 in Last space. slip to join. Rnd 17: sc in the first stitch, sc in next 14 sts, (1sc, ch1, 1sc) in the same stitch* repeat around, slip to join. TOPTIP: slip stitch Xmas Messages onto the Middle of the Right Side of the Pot Holder. Sit 4 small pots of jam into the middle of the Potholder, Pick up the piece between the pot and pull into the middle - do this 4 times. Chain a length (IN black) long enough to go around the 4 pots in the holder just sitting under the lids to help keep them secure, and tie in a bow.